Update: Unfortunately, the plan for the original cabinet below is no longer active. This happens from time to time. Since that is the case, we have located another free apothecary cabinet plan for you. OLD PLAN BELOW. Use this for inspiration only. The plan is not available, however the above link should be active. Click on the cabinet picture for the full plans. 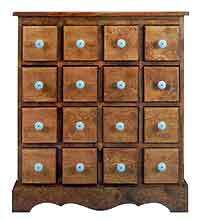 Have you ever wanted to build a nice apothecary cabinet? This woodworking plan is easy to follow and breaks the construction down into steps. I have seen finished projects that people tried to improvise and the finished product isn’t near the quality that you will obtain by following the free plans for this apothecary cabinet. The hardest part of a project like this is making sure that your tolerances are low. 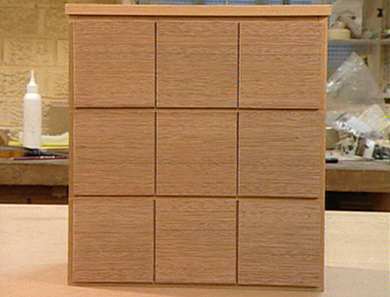 A nice fitting drawer is a must to be sure that the quality of this cabinet comes across. The plan dimensions are metric, so some conversion will be needed. Remember, 1 millimeter = 0.0393700787 inches. Good luck with this great project. It is a nice way to exercise your woodworking skills and accuracy. The original cabinet plan cannot be located at the msn (au) site. I have located another free apothecary plan that might work for you. Click on the top image for the full plans. Good luck. We hope that works for you. The link to the plans no longer works.